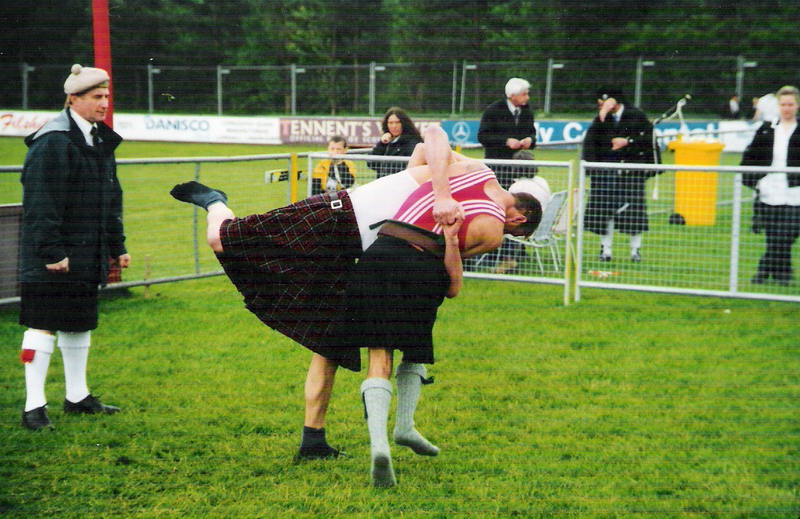 Scottish Backhold Wrestling is one of the traditional wrestling styles of the British Isles. 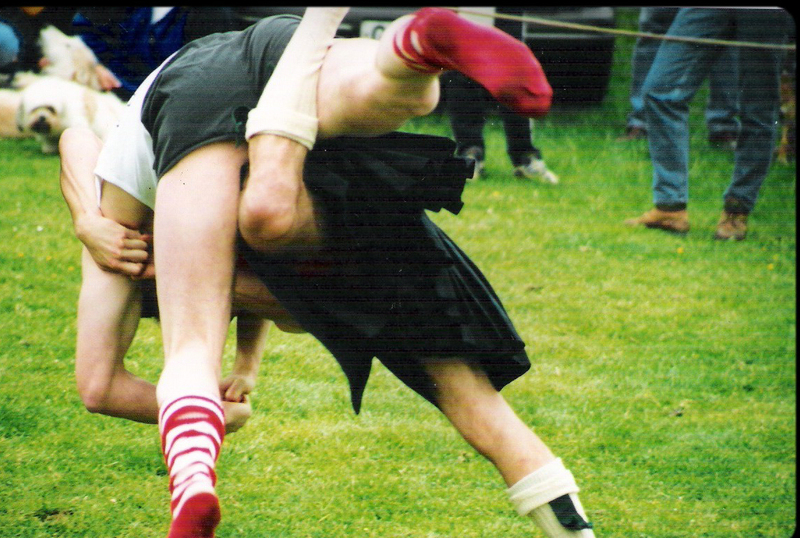 Like the other styles, Cornish Wrestling and Cumbrian-Westmoreland it has a long history and sister styles throughout Europe. 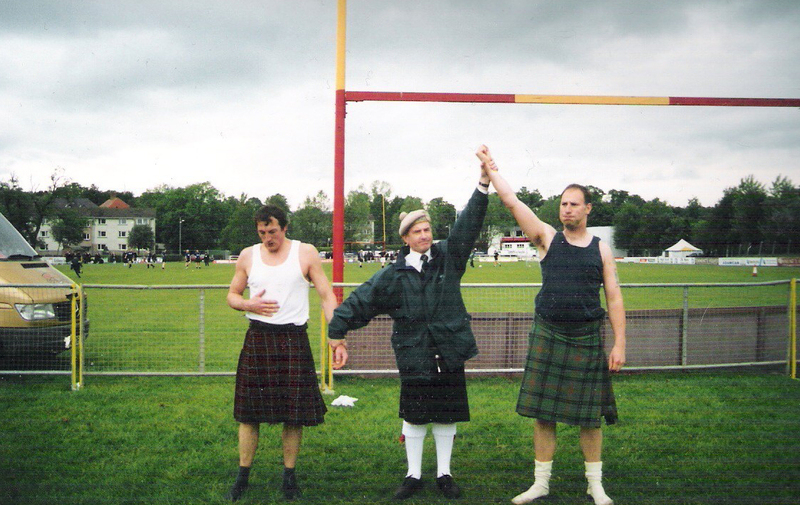 Noted as one of the major “Celtic” styles it differs from the Cornish and Breton (Gouren) styles, which involve different holds, throws and require the wrestler to wear a special jacket. 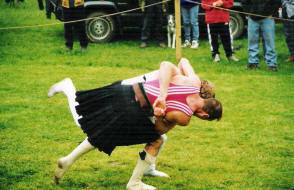 Scottish-Backhold is almost identical to the Cumbrian-Westmoreland style of Northern England (it is also practiced in Northumberland), involving largely the same techniques, Indeed, wrestlers from both styles regularly compete in local and international competitions either side of the border. In recent years Scottish wrestlers have been particularly successful in Cumbrian competitions, winning a number of local and World titles. Backhold Wrestling involves the two wrestlers “taking hold” of each other by putting the left arm over the opponents right (and the right under the left) and clasping their own hands behind the opponent’s back (hence the name ‘Backhold’, clever huh!?). It is important not to lock the fingers together as they might be broken in a fall. 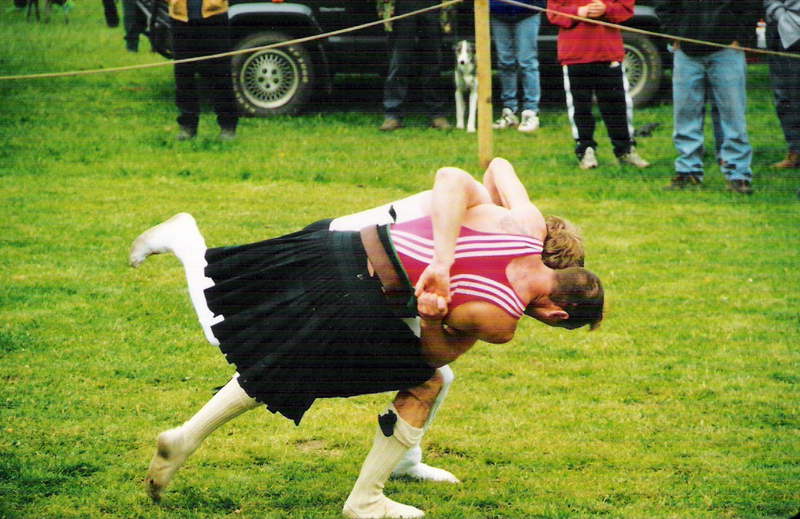 The wrestlers then attempt to trip or throw each other while maintaining the hold. The first to touch the floor with any part of the body except the feet or to break their hold) loses. This style of wrestling differs from the well-known “Olympic” styles of “Greco-Roman” and “Freestyle” in that there is no ground-wrestling. Furthermore, the hold must remain constant. Whereas Greco-Roman does not allow trips and holds to the legs these are fundamental features of Backhold. Techniques like the ‘Inside Hype’, where a wrestler lefts and throws by using the knee against the opponent’s inner thigh, are spectacular. Techniques from other styles, such as the suplex from Greco-Roman, have also been absorbed into the wrestler’s arsenal. Competitions are usually open to all comers and happen at a number of Highland Gatherings around the country (as well as the country shows of Northern England, like the famous Grassmere Show of Cumbria). 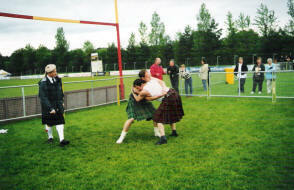 Wrestlers, male and female, compete on the grass field (really fun in the wet). The wrestler can wear ordinary sports clothes but for championship titles it necessary to wear a kilt (feet are bare or stockinged). 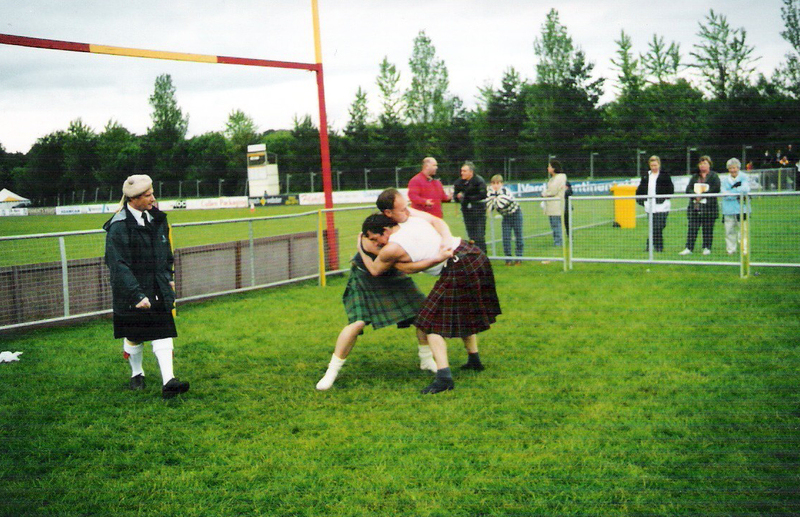 The ‘birling’ of the kilts during the swinging and throwing adds to the spectacle but can make it difficult for the judges to work out who lands first (“Watch the wrestler, no’ the kilt, Sonny!”). Many a frustrated wrestler has commented that they won a fall but the judges declared it a ‘dog fall’ (both land at the same time). In recent years Scottish Backhold has been promoted by the Scottish Wrestling Bond, headed by the former Commonwealth and Olympic Wrestling coach, William Baxter (who has a number of articles on the web). 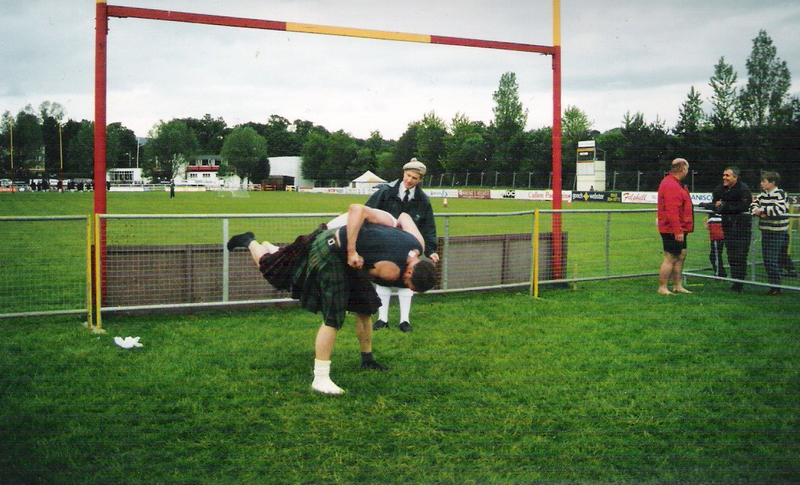 Scottish wrestlers have been very active (and successful) in international competition within the Celtic Wrestling Federation, where they have been successful in both Backhold competition and Gouren.